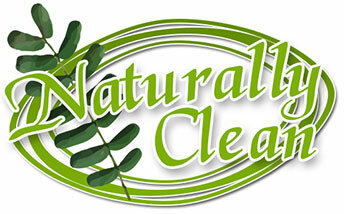 Naturally Clean is a range of all natural laundry and cleaning products, which are safe for you and the environment. Naturally Clean products contains no soaps, chemicals or phosphates and are made only from natural ingredients, which are completely biodegradable and mostly edible. The Naturally Clean range is safe for you, your children, your home, your laundry equipment, and your wardrobe. It is increasingly sought after by those with rashes, eczema and allergies to other chemical washing powders and cleaners. Naturally Clean is not tested on animals (accredited by Choose Cruelty Free Limited) and is made from all natural ingredients including vinegar, essential oils, citrus, salts, zeolite, other vegitable derivatives and contains no palm oil derivatives. ""Love washing with your products, ""
""I use Snow Laundry and the floor cleaner and I am very happy with both products,""
""I am so pleased with your products. I now use Snow Laundry powder all the time and also the Crystal Laundry Liquid,""
""Snow Laundry works well so I had better stick to it because we are good at having dirty clothes,""
""Thank you for a wonderful product,""
Ellie, June 2014, likes Crystal and Lite. "Your Snow washing detergent is the only powder that is natural and effective in cleaning my clothes,"
Sylvia, March 2009 (using Snow since 2008). "I love your Snow product and would like to buy the 20kg size,"
Kristi, Belconnon, January 2009 (using Snow since 2008). "So far, so good. I'm very happy with the products we've tried, although my husband may beg to differ after he was almost blinded when he went to get the white clothes off the line! We were impressed by your use of recycled packages too,"
"Excellent product and highly suitable for grey water usage of laundry water in the garden,"
"Because I work in a piggery I have found Naturally Clean cleans my clothes and removed the dust that otherwise gives me allergies. It smells beautiful too,"
Kim of Temora, NSW (uses Snow). Hypoallergenic - a great alternate wash for allergy and eczema sufferers! Cleans soap deposits from your washing machine and is suitable for grey water use! Made from all natural ingredients: vinegar, essential oils, citrus and salts! Australian made by a business that has been operating since 1998!